I read this article and found it very interesting, thought it might be something for you. The article is called Joseph Stiglitz Says Standard Economics Is Wrong. 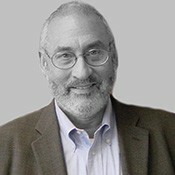 Inequality and Unearned Income Kills the Economy and is located at http://evonomics.com/joseph-stiglitz-inequality-unearned-income/. In the middle of the twentieth century, it came to be believed that ‘a rising tide lifts all boats’: economic growth would bring increasing wealth and higher living standards to all sections of society. At the time, there was some evidence behind that claim. In industrialised countries in the 1950s and 1960s every group was advancing, and those with lower incomes were rising most rapidly. In the ensuing economic and political debate, this ‘rising-tide hypothesis’ evolved into a much more specific idea, according to which regressive economic policies— policies that favour the richer classes— would end up benefiting everyone. Resources given to the rich would inevitably ‘trickle down’ to the rest. It is important to clarify that this version of old-fashioned ‘trickle-down economics’ did not follow from the postwar evidence. The ‘rising-tide hypothesis’ was equally consistent with a ‘trickle-up’ theory— give more money to those at the bottom and everyone will benefit; or with a ‘build-out from the middle’ theory— help those at the centre, and both those above and below will benefit. How can we explain these worrying trends? Traditionally, there has been little consensus among economists and social thinkers on what causes inequality. In the nineteenth century, they strived to explain and either justify or criticise the evident high levels of disparity. Marx talked about exploitation. Nassau Senior, the first holder of the first chair in economics, the Drummond Professorship at All Souls College, Oxford, talked about the returns to capital as a payment for capitalists’ abstinence, for their not consuming. It was not exploitation of labour, but the just rewards for their forgoing consumption. Neoclassical economists developed the marginal productivity theory, which argued that compensation more broadly reflected different individuals’ contributions to society. The reason why these ideas justifying inequality have endured is that they have a grain of truth in them. Some of those who have made large amounts of money have contributed greatly to our society, and in some cases what they have appropriated for themselves is but a fraction of what they have contributed to society. But this is only a part of the story: there are other possible causes of inequality. Disparity can result from exploitation, discrimination and exercise of monopoly power. Moreover, in general, inequality is heavily influenced by many institutional and political factors— industrial relations, labour market institutions, welfare and tax systems, for example— which can both work independently of productivity and affect productivity. That the distribution of income cannot be explained just by standard economic theory is suggested by the fact that the before-tax and transfer distribution of income differs markedly across countries. France and Norway are examples of OECD countries that have managed by and large to resist the trend of increasing inequality. The Scandinavian countries have a much higher level of equality of opportunity, regardless of how that is assessed. Marginal productivity theory is meant to have universal application. Neoclassical theory taught that one could explain economic outcomes without reference, for instance, to institutions. It held that a society’s institutions are simply a facade; economic behaviour is driven by the underlying laws of demand and supply, and the economist’s job is to understand these underlying forces. Thus, the standard theory cannot explain how countries with similar technology, productivity and per capita income can differ so much in their before-tax distribution. The evidence, though, is that institutions do matter. Not only can the effect of institutions be analysed, but institutions can themselves often be explained, sometimes by history, sometimes by power relations and sometimes by economic forces (like information asymmetries) left out of the standard analysis. Thus, a major thrust of modern economics is to understand the role of institutions in creating and shaping markets. The question then is: what is the relative role and importance of these alternative hypotheses? There is no easy way of providing a neat quantitative answer, but recent events and studies have lent persuasive weight to theories putting greater focus on rent-seeking and exploitation. The term ‘rent’ was originally used to describe the returns to land, since the owner of the land receives these payments by virtue of his or his ownership and not because of anything he or she does. The term was then extended to include monopoly profits (or monopoly rents)— the income that one receives simply from control of a monopoly— and in general returns due to similar ownership claims. Thus, rent-seeking means getting an income not as a reward for creating wealth but by grabbing a larger share of the wealth that would have been produced anyway. Indeed, rent-seekers typically destroy wealth, as a by-product of their taking away from others. A monopolist who overcharges for her or his product takes money from those whom she or he is overcharging and at the same time destroys value. To get her or his monopoly price, she or he has to restrict production. Growth in top incomes in the past three decades has been driven mainly in two occupational categories: those in the financial sector (both executives and professionals) and non-financial executives. Evidence suggests that rents have contributed on a large scale to the strong increase in the incomes of both. Let us first consider executives in general. That the rise in their compensation has not reflected productivity is indicated by the lack of correlation between managerial pay and firm performance. As early as 1990 Jensen and Murphy, by studying a sample of 2,505 CEOs in 1,400 companies, found that annual changes in executive compensation did not reflect changes in corporate performance. Since then, the work of Bebchuk, Fried and Grinstein has shown that the huge increase in US executive compensation since 1993 cannot be explained by firm performance or industrial structure and that, instead, it has mainly resulted from flaws in corporate governance, which enabled managers in practice to set their own pay. Mishel and Sabadish examined 350 firms, showing that growth in the compensation of their CEOs largely outpaced the increase in their stock market value. Most strikingly, executive compensation displayed substantial positive growth even during periods when stock market values decreased. There are other reasons to doubt standard marginal productivity theory. In the United States the ratio of CEO pay to that of the average worker increased from around 20 to 1 in 1965 to 354 to 1 in 2012. There was no change in technology that could explain a change in relative productivity of that magnitude— and no explanation for why that change in technology would occur in the US and not in other similar countries. Moreover, the design of corporate compensation schemes has made it evident that they are not intended to reward effort: typically, they are related to the performance of the stock, which rises and falls depending on many factors outside the control of the CEO, such as market interest rates and the price of oil. It would have been easy to design an incentive structure with less risk, simply by basing compensation on relative performance, relative to a group of comparable companies. The struggles of the Clinton administration to introduce tax systems encouraging so-called performance pay (without imposing conditions to ensure that pay was actually related to performance) and disclosure requirements (which would have enabled market participants to better assess the extent of stock dilution associated with CEO stock option plans) clarified the battle lines: those pushing for favourable tax treatment and against disclosure understood well that these arrangements would have facilitated greater inequalities in income. For specifically the rise in top incomes in the financial sector, the evidence is even more unfavourable to explanations based on marginal productivity theory. An empirical study by Philippon and Reshef shows that in the past two decades workers in the financial industry have enjoyed a huge ‘pay-premium’ with respect to similar sectors, which cannot be explained by the usual proxies for productivity (such as the level of education or unobserved ability). According to their estimates, financial sector compensations have been about 40 percent higher than the level that would have been expected under perfect competition. It is also well documented that banks deemed ‘too big to fail’ enjoy a rent due to an implicit state guarantee. Investors know that these large financial institutions can count, in effect, on a government guarantee, and thus they are willing to provide them funds at lower interest rates. The big banks can thus prosper not because they are more efficient or provide better service but because they are in effect subsidised by taxpayers. There are other reasons for the super-normal returns to the large banks and their bankers. In certain of the activities of the financial sector, there is far from perfect competition. Anti-competitive practices in debit and credit cards have amplified pre-existing market power to generate huge rents. Lack of transparency (e.g. in over-the-counter Credit Default Swaps (CDSs) and derivatives) too have generated large rents, with the market dominated by four players. It is not surprising that the rents enjoyed in this way by big banks translated into higher incomes for their managers and shareholders. In the financial sector even more than in other industries, executive compensation in the aftermath of the crisis provided convincing evidence against marginal productivity theory as an explanation of wages at the top: the bankers who had brought their firms and the global economy to the brink of ruin continued to receive high rates of pay— compensation which in no way could be related either to their social contribution or even their contribution to the firms for which they worked (both of which were negative). For instance, a study that focused on Bear Sterns and Lehman Brothers in 2000– 2008 has found that the top executive managers of these two giants had brought home huge amounts of ‘performance-based’ compensations (estimated at around $ 1 billion for Lehman and $ 1.4 billion for Bear Stearns), which were not clawed back when the two firms collapsed. Still another piece of evidence supporting the importance of rent-seeking in explaining the increase in inequality is provided by those studies that have shown that increases in taxes at the very top do not result in decreases in growth rates. If these incomes were a result of their efforts, we might have expected those at the top to respond by working less hard, with adverse effects on GDP. Three striking aspects of the evolution of most rich countries in the past thirty-five years are (a) the increase in the wealth-to-income ratio; (b) the stagnation of median wages; and (c) the failure of the return to capital to decline. Standard neoclassical theories, in which ‘wealth’ is equated with ‘capital’, would suggest that the increase in capital should be associated with a decline in the return to capital and an increase in wages. The failure of unskilled workers’ wages to increase has been attributed by some (especially in the 1990s) to skill-biased technological change, which increased the premium put by the market on skills. Hence, those with skills would see their wages rise, and those without skills would see them fall. But recent years have seen a decline in the wages paid even to skilled workers. Moreover, as my recent research shows, average wages should have increased, even if some wages fell. Something else must be going on. There is an alternative— and more plausible— explanation. It is based on the observation that rents are increasing (due to the increase in land rents, intellectual property rents and monopoly power). As a result, the value of those assets that are able to provide rents to their owners— such as land, houses and some financial claims— is rising proportionately. So overall wealth increases, but this does not lead to an increase in the productive capacity of the economy or in the mean marginal productivity or average wage of workers. On the contrary, wages may stagnate or even decrease, because the rise in the share of rents has happened at the expense of wages. The assets which are driving the increase in overall wealth, in fact, are not produced capital goods. In many cases, they are not even ‘productive’ in the usual sense; they are not directly related to the production of goods and services. With more wealth put into these assets, there may be less invested in real productive capital. In the case of many countries where we have data (such as France) there is evidence that this is indeed the case: a disproportionate part of savings in recent years has gone into the purchase of housing, which has not increased the productivity of the ‘real’ economy. Monetary policies that lead to low interest rates can increase the value of these ‘unproductive’ fixed assets— an increase in the value of wealth that is unaccompanied by any increase in the flow of goods and services. By the same token, a bubble can lead to an increase in wealth— for an extended period of time— again with possible adverse effects on the stock of ‘real’ productive capital. Indeed, it is easy for capitalist economies to generate such bubbles (a fact that should be obvious from the historical record, but which has also been confirmed in theoretical models. ) While in recent years there has been a ‘correction’ in the housing bubble (and in the underlying price of land), we cannot be confident that there has been a full correction. The increase in the wealth– income ratio may still have more to do with an increase in the value of rents than with an increase in the amount of productive capital. Those who have access to financial markets and can get credit from banks (typically those already well off) can purchase these assets, using them as collateral. As the bubble takes off, so does their wealth and society’s inequality. Again, policies amplify the resulting inequality: favourable tax treatment of capital gains enables especially high after-tax returns on these assets and increases the wealth especially of the wealthy, who disproportionately own such assets (and understandably so, since they are better able to withstand the associated risks). The large influence of rent-seeking in the rise of top incomes undermines the marginal productivity theory of income distribution. The income and wealth of those at the top comes at least partly at the expense of others— just the opposite conclusion from that which emerges from trickle-down economics. When, for instance, a monopoly succeeds in raising the price of the goods which it sells, it lowers the real income of everyone else. This suggests that institutional and political factors play an important role in influencing the relative shares of capital and labour. As we noted earlier, in the past three decades wages have grown much less than productivity — a fact which is hard to reconcile with marginal productivity theory but is consistent with increased exploitation. This suggests that the weakening of workers’ bargaining power has been a major factor. Weak unions and asymmetric globalisation, where capital is free to move while labour is much less so, are thus likely to have contributed significantly to the great surge of inequality. The way in which globalisation has been managed has led to lower wages in part because workers’ bargaining power has been eviscerated. With capital highly mobile— and with tariffs low— firms can simply tell workers that if they don’t accept lower wages and worse working conditions, the company will move elsewhere. To see how asymmetric globalisation can affect bargaining power, imagine, for a moment, what the world would be like if there was free mobility of labour, but no mobility of capital. Countries would compete to attract workers. They would promise good schools and a good environment, as well as low taxes on workers. This could be financed by high taxes on capital. But that’s not the world we live in. In most industrialised countries there has been a decline in union membership and influence; this decline has been especially strong in the Anglo-Saxon world. This has created an imbalance of economic power and a political vacuum. Without the protection afforded by a union, workers have fared even more poorly than they would have otherwise. Unions’ inability to protect workers against the threat of job loss by the moving of jobs abroad has contributed to weakening the power of unions. But politics has also played a major role, exemplified in President Reagan’s breaking of the air traffic controllers’ strike in the US in 1981 or Margaret Thatcher’s battle against the National Union of Mineworkers in the UK. Central bank policies focusing on inflation have almost certainly been a further factor contributing to the growing inequality and the weakening of workers’ bargaining power. As soon as wages start to increase, and especially if they increase faster than the rate of inflation, central banks focusing on inflation raise interest rates. The result is a higher average level of unemployment and a downward ratcheting effect on wages: as the economy goes into recession, real wages often fall; and then monetary policy is designed to ensure that they don’t recover. Inequalities are affected not just by the legal and formal institutional arrangements (such as the strength of unions) but also by social custom, including whether it is viewed as acceptable to engage in discrimination. At the same time, governments have been lax in enforcing anti-discrimination laws. Contrary to the suggestion of free-market economists, but consistent with even casual observation of how markets actually behave, discrimination has been a persistent aspect of market economies, and helps explain much of what has gone on at the bottom. The discrimination takes many forms— in housing markets, in financial markets (at least one of America’s large banks had to pay a very large fine for its discriminatory practices in the run-up to the crisis) and in labour markets. There is a large literature explaining how such discrimination persists. Of course, market forces— the demand and supply for skilled workers, affected by changes in technology and education— play an important role as well, even if those forces are partially shaped by politics. But instead of these market forces and politics balancing each other out, with the political process dampening the increase in inequalities of income and wealth in periods when market forces have led to growing disparities, in the rich countries today the two have been working together to increase inequality. The evidence is thus unsupportive of explanations of inequality solely focused on marginal productivity. But what of the argument that we need inequality to grow? A first justification for the claim that inequality is necessary for growth focuses on the role of savings and investment in promoting growth, and is based on the observation that those at the top save, while those at the bottom typically spend all of their earnings. Countries with a high share of wages will thus not be able to accumulate capital as rapidly as those with a low share of wages. The only way to generate savings required for long-term growth is thus to ensure sufficient income for the rich. This argument is particularly inapposite today, where the problem is, to use Bernanke’s term, a global savings glut. But even in those circumstances where growth would be increased by an increase in national savings, there are better ways of inducing savings than increasing inequality. The government can tax the income of the rich, and use the funds to finance either private or public investment; such policies reduce inequalities in consumption and disposable income, and lead to increased national savings (appropriately measured). In fact, as empirical research by the IMF has shown, inequality is associated with economic instability. In particular, IMF researchers have shown that growth spells tend to be shorter when income inequality is high. This result holds also when other determinants of growth duration (like external shocks, property rights and macroeconomic conditions) are taken into account: on average, a 10-percentile decrease in inequality increases the expected length of a growth spell by one half. The picture does not change if one focuses on medium-term average growth rates instead of growth duration. Recent empirical research released by the OECD shows that income inequality has a negative and statistically significant effect on medium-term growth. It estimates that in countries like the US, the UK and Italy, overall economic growth would have been six to nine percentage points higher in the past two decades had income inequality not risen. There are different channels through which inequality harms the economy. First, inequality leads to weak aggregate demand. The reason is easy to understand: those at the bottom spend a larger fraction of their income than those at the top. The problem may be compounded by monetary authorities’ flawed responses to this weak demand. By lowering interest rates and relaxing regulations, monetary policy too easily gives rise to an asset bubble, the bursting of which leads in turn to recession. Many interpretations of the current crisis have indeed emphasised the importance of distributional concerns. Growing inequality would have led to lower consumption but for the effects of loose monetary policy and lax regulations, which led to a housing bubble and a consumption boom. It was, in short, only growing debt that allowed consumption to be sustained. But it was inevitable that the bubble would eventually break. And it was inevitable that, when it broke, the economy would go into a downturn. Second, inequality of outcomes is associated with inequality of opportunity. When those at the bottom of the income distribution are at great risk of not living up to their potential, the economy pays a price not only with weaker demand today, but also with lower growth in the future. With nearly one in four American children growing up in poverty, many of them facing not just a lack of educational opportunity but also a lack of access to adequate nutrition and health, the country’s long-term prospects are being put into jeopardy. Third, societies with greater inequality are less likely to make public investments which enhance productivity, such as in public transportation, infrastructure, technology and education. If the rich believe that they don’t need these public facilities, and worry that a strong government which could increase the efficiency of the economy might at the same time use its powers to redistribute income and wealth, it is not surprising that public investment is lower in countries with higher inequality. Moreover, in such countries tax and other economic policies are likely to encourage those activities that benefit the financial sector over more productive activities. In the United States today returns on long-term financial speculation (capital gains) are taxed at approximately half the rate of labour, and speculative derivatives are given priority in bankruptcy over workers. Tax laws encourage job creation abroad rather than at home. The result is a weaker and more unstable economy. Reforming these policies— and using other policies to reduce rent-seeking— would not only reduce inequality; it would improve economic performance. A wide range of policies can help reduce inequality. Policies should be aimed at reducing inequalities both in market income and in the post-taxand-transfer incomes. The rules of the game play a large role in determining market distribution— in preventing discrimination, in creating bargaining rights for workers, in curbing monopolies and the powers of CEOs to exploit firms’ other stakeholders and the financial sector to exploit the rest of society. These rules were largely rewritten during the past thirty years in ways which led to more inequality and poorer overall economic performance. Now they must be rewritten once again, to reduce inequality and strengthen the economy, for instance, by discouraging the short-termism that has become rampant in the financial and corporate sector. Reforms include more support for education, including pre-school; increasing the minimum wage; strengthening earned-income tax credits; strengthening the voice of workers in the workplace, including through unions; and more effective enforcement of anti-discrimination laws. But there are four areas in particular that could make inroads in the high level of inequality which now exists. First, executive compensation (especially in the US) has become excessive, and it is hard to justify the design of executive compensation schemes based on stock options. Executives should not be rewarded for improvements in a firm’s stock market performance in which they play no part. If the Federal Reserve lowers interest rates, and that leads to an increase in stock market prices, CEOs should not get a bonus as a result. If oil prices fall, and so profits of airlines and the value of airline stocks increase, airline CEOs should not get a bonus. There is an easy way of taking account of these gains (or losses) which are not attributable to the efforts of executives: basing performance pay on the relative performance of firms in comparable circumstances. The design of good compensation schemes that do this has been well understood for more than a third of a century, and yet executives in major corporations have almost studiously resisted these insights. They have focused more on taking advantages of deficiencies in corporate governance and the lack of understanding of these issues by many shareholders to try to enhance their earnings— getting high pay when share prices increase, and also when share prices fall. In the long run, as we have seen, economic performance itself is hurt. Second, macroeconomic policies are needed that maintain economic stability and full employment. High unemployment most severely penalises those at the bottom and the middle of the income distribution. Today, workers are suffering thrice over: from high unemployment, weak wages and cutbacks in public services, as government revenues are less than they would be if economies were functioning well. As we have argued, high inequality has weakened aggregate demand. Fuelling asset price bubbles through hyper-expansive monetary policy and deregulation is not the only possible response. Higher public investment— in infrastructures, technology and education— would both revive demand and alleviate inequality, and this would boost growth in the long-run and in the short-run. According to a recent empirical study by the IMF, well-designed public infrastructure investment raises output both in the short and long term, especially when the economy is operating below potential. And it doesn’t need to increase public debt in terms of GDP: well-implemented infrastructure projects would pay for themselves, as the increase in income (and thus in tax revenues) would more than offset the increase in spending. Third, public investment in education is fundamental to address inequality. A key determinant of workers’ income is the level and quality of education. If governments ensure equal access to education, then the distribution of wages will reflect the distribution of abilities (including the ability to benefit from education) and the extent to which the education system attempts to compensate for differences in abilities and backgrounds. If, as in the United States, those with rich parents usually have access to better education, then one generation’s inequality will be passed on to the next, and in each generation, wage inequality will reflect the income and related inequalities of the last. Fourth, these much-needed public investments could be financed through fair and full taxation of capital income. 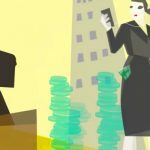 This would further contribute to counteracting the surge in inequality: it can help bring down the net return to capital, so that those capitalists who save much of their income won’t see their wealth accumulate at a faster pace than the growth of the overall economy, resulting in growing inequality of wealth. Special provisions providing for favourable taxation of capital gains and dividends not only distort the economy, but, with the vast majority of the benefits going to the very top, increase inequality. At the same time they impose enormous budgetary costs: 2 trillion dollars from 2013 to 2023 in the US, according to the Congressional Budget Office. The elimination of the special provisions for capital gains and dividends, coupled with the taxation of capital gains on the basis of accrual, not just realisations, is the most obvious reform in the tax code that would improve inequality and raise substantial amounts of revenues. There are many others, such as a good system of inheritance and effectively enforced estate taxation. We used to think of there being a trade-off: we could achieve more equality, but only at the expense of overall economic performance. It is now clear that, given the extremes of inequality being reached in many rich countries and the manner in which they have been generated, greater equality and improved economic performance are complements. This is especially true if we focus on appropriate measures of growth. If we use the wrong metrics, we will strive for the wrong things. As the international Commission on the Measurement of Economic Performance and Social Progress argued, there is a growing global consensus that GDP does not provide a good measure of overall economic performance. What matters is whether growth is sustainable, and whether most citizens see their living standards rising year after year. Since the beginning of the new millennium, the US economy, and that of most other advanced countries, has clearly not been performing. In fact, for three decades, real median incomes have essentially stagnated. Indeed, in the case of the US, the problems are even worse and were manifest well before the recession: in the past four decades average wages have stagnated, even though productivity has drastically increased. As this essay has emphasised, a key factor underlying the current economic difficulties of rich countries is growing inequality. We need to focus not on what is happening on average— as GDP leads us to do— but on how the economy is performing for the typical citizen, reflected for instance in median disposable income. People care about health, fairness and security, and yet GDP statistics do not reflect their decline. Once these and other aspects of societal well-being are taken into account, recent performance in rich countries looks much worse. The economic policies required to change this are not difficult to identify. We need more investment in public goods; better corporate governance, antitrust and anti-discrimination laws; a better regulated financial system; stronger workers’ rights; and more progressive tax and transfer policies. By ‘rewriting the rules’ governing the market economy in these ways, it is possible to achieve greater equality in both the pre- and post-tax and transfer distribution of income, and thereby stronger economic performance. 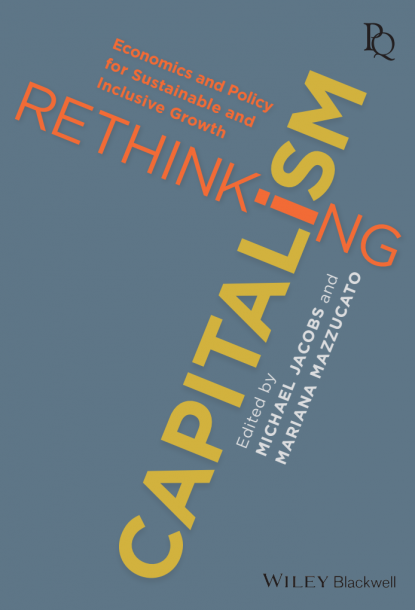 Adapted (with permission) from Rethinking Capitalism: Economics and Policy for Sustainable and Inclusive Growth , edited by Michael Jacobs and Mariana Mazzucato, (Political Quarterly Monograph Series), WILEY Blackwell.